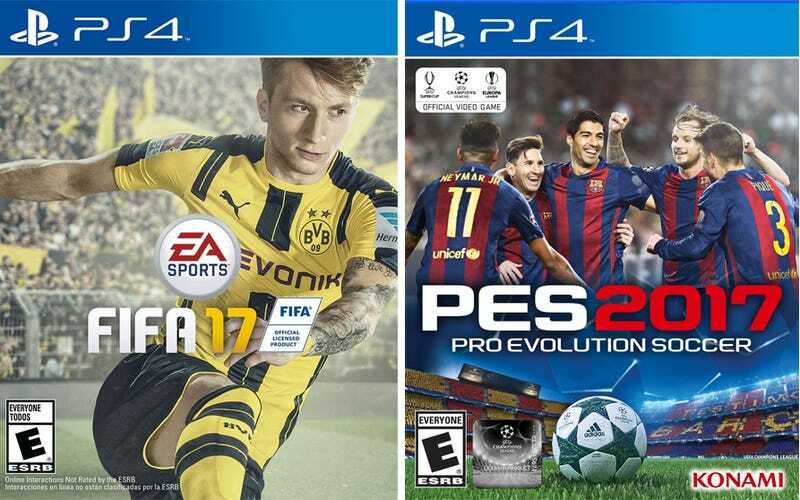 FIFA 17 or PES 17? Anybody out there with any experience with FIFA vs. PES? I have read that FIFA 17 is getting more difficult to play, particularly on defense, and I already have to listen to tantrums from kids who keep getting scored on. My older son wants FIFA 17 because it has Marco Reuss on the cover, his favorite player. But PES is cheaper (at regular price), and if the gameplay is similar or better, should I give it a shot? We have a a PS3, if that makes any difference.